The economic downturn hasn’t been kind to a lot of industries, but few have seen such negative impact as property development. After a decade or more of unchecked growth, housing values have been declining since 2010. Despite that bad news, there’s plenty of room in the real estate market for property developers. Here, you’ll learn more on what it takes to get started. Before you ever buy your first property, you should decide which part of property development you’re going to focus on (are you going to be a developer or an investor?). Developers look for properties in need of repair, often bought through agents, at auction or from an owner. Renovations occur over a period of six to 18 months, and the property is (hopefully) sold for a profit. Despite the high cost of materials such as roofing supplies, becoming a developer is the quickest way to make money in the industry. Investors often buy properties which already have tenants. To be a property investor, you’ll buy properties not in need of renovation; you’re just looking to get a tenant in as soon as possible. Such situations aren’t all that common, as most potential landlords know that almost every property has room for improvement. Property investors often don’t realize a profit for years; some barely make enough to cover taxes, mortgage and other fees. Buying property isn’t cheap, and unless you’re independently wealthy you’ll likely need a mortgage. Most lenders require a deposit of up to 25% of the purchase or development price, and once you buy you’ll still have to make mortgage payments while work is going on. Many investors choose interest-only mortgages, which require repayment at the end of the term (often, the property must be sold). The difference between the mortgage amount and the selling price is the investor’s profit. On reality TV’s property shows, developers are always focusing on “yuppies”, or young professionals. The market is so large that it can be further subdivided, but smaller markets such as students and retirees should not be overlooked. Consider your market before buying- it’s much easier to fulfill a need than it is to build without one. Once you’ve decided on a target market, you should become more acquainted with it. Do they use public transportation, bike to work, or own a car? Are they looking for environmentally friendly home features like Velux windows? These factors will largely determine where you make your first buy. There are many places online where you can find demographic information for your chosen area, or you could talk to a local rental or real estate agent. When you’re looking for your first development property, choose one close to your current home. Doing so will leave you with a better knowledge of property values, and it makes traveling to the home site to deal with project managers and builders much simpler. This article was written by James Harper on behalf of Ashbrook Roofing, retailers of velux windows and roofing supplies. Visit their site to see their range of roofing supplies or to find out more about velux windows. The U.S. housing market has been a structural impediment to economic growth since the price collapse started in 2006. 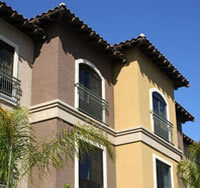 Recently, a number of price indices, sales reports and anecdotal stories are pointing to an apparent housing recovery in 2012. This may or may not be a boon to the broader economy, but what does it mean for local markets? Too many homeowners and renters make the mistake of looking to national data to understand their local housing market. National data are averages of local data. They are measures of the country as a whole. Any relevance to local markets is swamped by the sheer preponderance of data. A good place to start for local data is home sales inventories. Inventory is the number of homes available for sale or waiting to be put on the market. High inventory means a slow market, while low inventory means a competitive market. Home prices have an inverse relationship to home inventories: when inventories rise, prices fall. Market participants can use inventory data to estimate when to put their house on the market. Plenty of resources about local prices can be found on the Internet. Websites such as Trulia and Zillow list data about multiple aspects of home buying. Potential buyers can search based on size, price, amenities and location. Trulia has an innovative “heat map” that shows prices by state and locale across the country. The Internet is one of the top sources for information about local housing markets. Residential property is subject to supply and demand like any other market. Local economic conditions can provide clues why inventories are so high and prices are so low. Consider the Bakken oil boom in North Dakota. Jobs are so plentiful people are coming from across the country to find employment. Home prices are skyrocketing because inventories are almost down to nothing due to strong demand. Finally, perhaps the best source of information about local housing markets is local realtor companies and agents. Their job is to pay attention to local conditions so they can sell homes to customers. The Internet may be a great source of data, but only boots on the ground can tell customers how things are to an absolute certainty. Real estate agents can provide that certainty. Trends and dynamics only visible to the naked eye can disappear in aggregated statistical data. Peter Wendt is a writer/researcher who spent many years in Houston, TX before moving to Austin. If you’re planning to move in Houston, Wendt recommends you enlist a real estate agent in Houston to save time and money during your housing search. Cash Positive Investment Property – What is it and How Can You Get Some? You have heard about salient features of investing in property – it is a long term investment, solid, tangible and fraught with risks and returns much the same way as other types of investment. It also involves and entails regular maintenance which means that as an investor in real estate, you must be prepared to pump in cash on a regular basis. But what if there is property that turns the game around and promises to put money into your wallet right from the get go? This then would be the domain of the cash positive investment property. 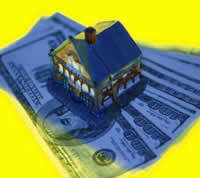 Property that puts back money into the investor’s wallet is known as positive cash flow property. The prospect of getting hold of such cash positive property is extremely enticing and it seems like a great way to get back your investment in a much shorter time. But there are a few things that you have to do to get hold of such property. There is a payoff between one of the ways in which property yields returns – rent – and the value of the property. For instance, you might set yourself a goal which states that you need a 10% rental yield. But getting hold of properties that offer this yield may lie in high value neighborhoods. So you may not be able to achieve the balance between value and returns. You have to calculate net flows and the expenditure that you will have to put in. There is also the easy mistake of assuming that it is better to buy a cheap property and wait for the cash to start flowing in. But the truth of the matter is that expensive, new and “locationally superior” properties show a better rate of capital growth and will also yield a better rental value. So do a homework of how much the property is going to cost and how much you will have to spend to maintain it and how much it will yield and then pick up the property. This way, you will be sure to get hold of cash positive investment property. There is another point of view too – buying moderate priced properties may also give you a strong cash flow scenario. You might have a steady and swift flow of cash from such properties. So the best thing to check is rental value before deciding on the kind of property you want. You can use the method of positive gearing to check out the purchase of positive cash flow property. With this method, you can pick up high rent value property which is high enough to cover purchase prices, taxes and other expenditures made on the property and leave some behind too. You need to also keep an eye open for such properties everywhere. They may not always be linked to high value localities and communities. So buying a property that will give you positive cash flow may see you heading to a place which may not, traditionally, be known for high rental values. There are plenty of resources like the internet, contacting property management firms and talking to real estate experts that will give you an indication of cash positive investment property. 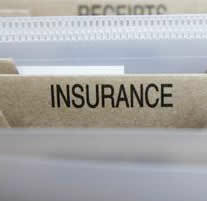 Why landlord insurance is an important consideration in this day and age. While many would agree that insurance is a sensible and prudent option, some potential buy-to-let landlords may not realize just how essential it is. Beyond the known risks of a burst pipe or a faulty boiler lurk some potentially nasty hazards. Some very much man made, others provided by Mother Nature. 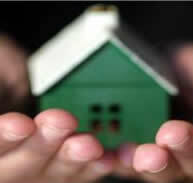 Most policies cover the building and any contents, fixtures and fittings owned by the landlord. It does not cover those items owned by the tenant and so they would have to take out their own contents policy. There are many tales of unscrupulous landlords but the flip side of this is the tenant from hell. Background checks, ID and employers references are sensible steps in ensuring that a tenant is bona fide but they are certainly no guarantee, especially not for someone with criminal intent on their minds. There are horror stories of supposedly respectable families signing up to tenancies to only then add locks to the internal doors and sublet the rooms whilst the owner of the house is abroad. Worse still there have been instances of disgruntled tenants trashing houses because they have been asked to leave after months of non-payment of rent. Windows have been smashed, bannisters hacked up, ceilings and insulation pulled down, carpets ruined and all other fixtures and fittings destroyed. While these are the exceptions it really highlights the need to not be complacent. Landlord policies will also cover acts of God such as fires, lightning strikes, flooding, storm damage and even earthquakes. In addition to the standard policy there are usually optional extras such as rent guarantee insurance and alternative accommodation costs should the worst happen. In addition to the safety net of insurance landlords can also protect themselves by employing a number of safeguards with regard to tenants. Creating lists that you give to tenants outlining that they must provide ID like passports, bank statements, employers references, references from previous landlords, credit checks and perhaps letting agency checks should one be used. To the dishonest prospective tenant this alone can be off putting and weed out the good tenants from the troublesome ones. If things do go wrong, which they can do if you are renting multiple properties over an extended amount of time, then this is when prior preparation and your insurance come in to play. Tenants may not be able to pay, the washing machine or fridge might have packed up but at least you know you are covered. The article was written by Steve Berry, an expert on landlord insurance and other buildings and contents related insurance.